We finally put PubComp to bed in this episode of WiP. The ambitious attempt to create a web and server system that would allow dramatic customization of competitive play on the fly is a pipe dream many of us have shared. It was not to be. This conversation with the lead SourceMod coder, Vincenator, stands as a warning against placing too much control of a project in one man’s hands. With proprietary solutions shared between Parable and EOReality the project came within days of completion before it failed to finish. Vincenator stays upbeat. The hard work has been done and his code is now in the hands of the public. It remains to be seen if anyone else will pick it up. For his part he is embarking on a career in coding. I hope he stays in the gaming space and comes back with a new project for us to follow. You know how it is when life gets in the way of a really good game? That’s how it has been for me and Work in Progress. So too for Parable and the team behind PubComp. For those joining the story now, PubComp was an ambitious project to provide a platform for non-competitive and competitive players alike. It was to have been an enhanced version of TF2lobby, allowing players to jump from casual play directly into a highly configurable match at the drop of a hat. The project was began in summer of 2011 and was supposed to have seen an alpha release later that year. But here we are, months later with everything seemingly forgot. It’s far from unusual to have ambitious projects scrapped mid flow but this one held such high promise and had drawn together some incredibly dedicated and driven people. The day of death is a hard one to pin down, even while the programming group where failing to meet deadlines the community group were supporting competitive collaborations across the world. Most of the original staff are still playing and working in Team Fortress 2 related activities. 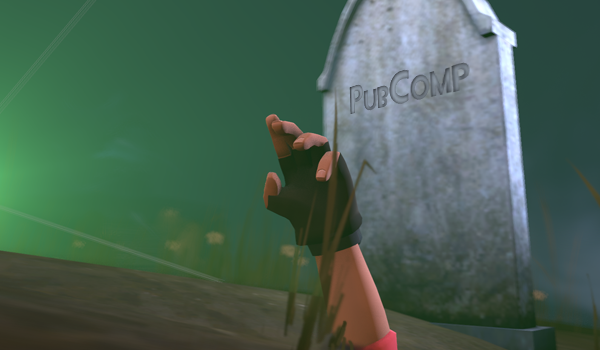 Though reports of their demise have not been greatly exaggerated, it may be that the dream of PubComp lives on. For this episode we return to the source. Source Mod, to be exact. I’m joined by PubComp‘s Parable and Vincenator. The latter being the man behind the project’s SourceMod coding. 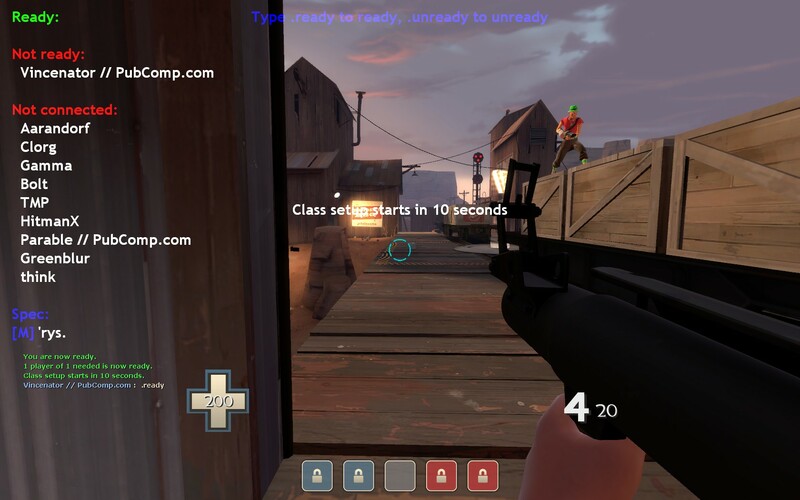 Like many of the team Vincenator has had his fill of TF2Lobby. His initial enthusiasm for Floor_Master’s work was curbed when he found he had arrived too late to contribute. Believing TF2Lobby to have fallen into a state of unrealised potential he’s keen not to let PubComp fall into the same traps. He has pounced on this open project and built the entire SM codebase on which PubComp relies. Keeping to the open nature his code may be edited in the future. I’d be surprised if this is the last we hear from him on WIP. 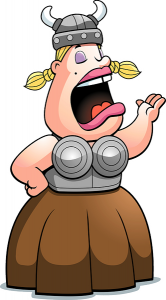 For his part Parable speaks of the messaging system that will link the game servers to the website database. He also makes it clear that the end of September release date is still very much on. The long-awaited “new” PubComp site is up. I catch up with Parable about the changes the site has seen already in their first couple of weeks. Steam’s Open ID is being utilised to allow participants to engauge in the entire system with just one login and Phife has brought his own style to the artwork. There’s a casting call for players to donate their replays. Crowd sourcing to get real experiences for each of the required clips. The coding is being left open to allow for a multitude of changes to be made to the core design. A forward looking attitude that has payed off already since the potential is there for players to create their own game modes and have servers respond to those conditions without having to recode everything from scratch. Finally, Parable looks to the future; at an entire prebuilt development package for new coders to get up and running without having to start from scratch each time.